I’ve seen Disney’s Tangled way (way!) too many times for a person whose only formal parenting responsibilities extend to four-legged children and not actual human bipeds. What can I say? I like breezy kids’ films that often use humor designed to appeal more to the adults in the audience than the children. I also firmly believe that the idea of a horse like Maximus being smarter than an entire regiment of soldiers isn’t all that far-fetched, despite the fact that we’re talking about a cartoon here. Conclusion: Maximus is definitely a warmblood, despite his Spanish-influenced conformation. 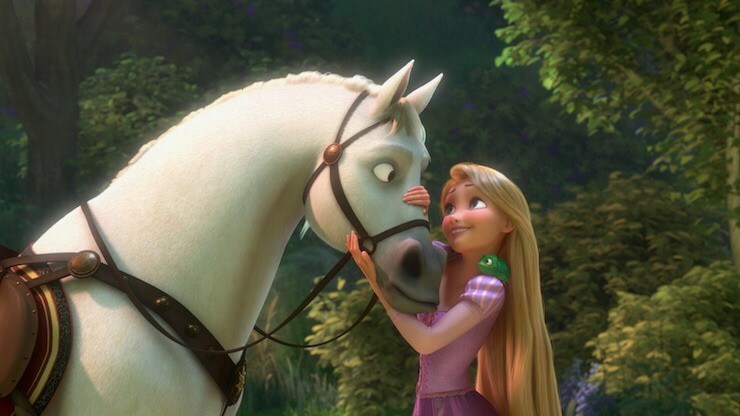 My love for Disney films aside, however, one of the main themes running through Tangled is that of people seeking their dreams – and occasionally changing them along the way because they learn new things or find themselves changing and developing in a different direction than they originally foresaw. But what stands out for me whenever I catch a replay of the movie while channel surfing is the musical sequence aptly titled “I’ve Got a Dream.” In it, a group of burly pub patrons, Rapunzel, and Flynn Rider all list the aspirations and dreams they have for their lives and – most importantly (to my way of thinking, at least) – not a single one of them shares the same exact dream. There’s the guy who wants to be a concert pianist, the guy who wants to find true love, a budding mime, plus a host of others. 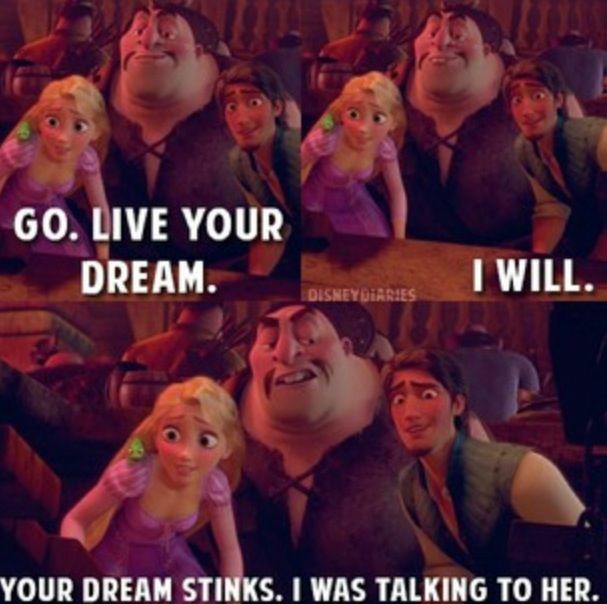 And this is where the plot of Tangled becomes relevant to the college search. No two dreams are the same and – funny cartoon put downs aside – no one really gets to say whose dream is a great one and whose isn’t. I’ve worked with students who aspire to attend Tier I research institutions and highly competitive liberal arts colleges. I’ve worked with students who want to pursue an equine major at a school with an equestrian team that wins national championships. I’ve worked with prospective NCEA and IHSA athletes, as well as those pursuing their goals on the traditional horse show circuit. Their dreams are unique to their own individual circumstances. Yet despite this, I often find myself having conversations with students and parents who hear from peers and coworkers and people in the barn aisle that a student needs to change his or her dream because it isn’t “big enough,” “reasonable enough,” “fitting of his/her potential,” “is too costly,” “won’t pan out,” etc., etc. This is the real world equivalent of the guy in the pub saying “Your dream stinks” and dismissing the work and thought a student has put into pursuing a particular path. For many people in this country, community college isn’t a fall back option, it’s their dream for education and a better future. For a lot of students, the college dream doesn’t look like the name of a well-known college on the bumper sticker on the family car, it’s just a college campus where a person feels supported and at home. For the majority of parents, the college dream for their students has to look affordable, regardless of the name of the college or university their son or daughter attends.